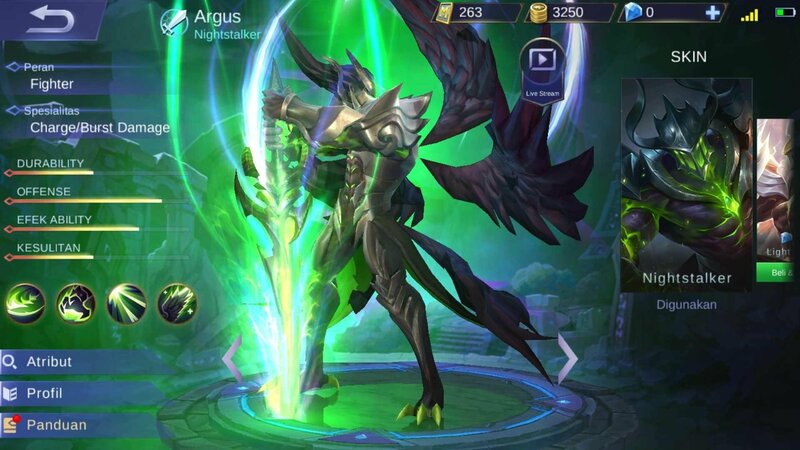 Argus Guide - Guides - Mobile Legends: Bang Bang - Powered by Discuz! Hey everyone, today I will be discussing about a specialkind and also the latest new hero, Argus. Are you wondering what he is capableof? He can solo hard carry games, be an unstoppable killing machine, almostimpossible to kill, immortal. I will explain further why Argus is so strong inthe current state. Argus also has been the most fun and coolest hero I haveever played. Argus and Rafaela were heavenly angels that descended intothe land of dawn at the same time. One responsible for eradicating evil, theother for eradicating suffering. As Argus went through countless battles, hesoon became obsessed with the pursuit of power. One time during a battle heheard the call of an ancient being, Argus soon lost control of his ambitionsand became corrupted. He was able to break the seal of the ancient being tosummon forth a blazing demonic blade. By sacrificing his own life to the bladewas able to gain even more power. Now Argus wanders the world, seeking conflictand war so that he can consume more lives with his blade. It’s important to use in a perfecttiming. Use too quick, and it won’t be much effective. Use too late, and youmight die, getting stunned and/or crowd controlled, unable to use yourultimate. There will be two similar path, full damage, just differentitems priority. It’s up to you. For this, you will be getting lifesteal and more damagefirst, more sustain early on, damage isn’t too bad. Lifesteal works very wellwith Argus’s passive double hit as well. Followed up with critical damage itemsfor huge damage boosts. Argus’s is mainly focus on basic attacks, the more youattack, the more your passive procs, and more damage of course. You may notwant to being stop by crowd controls. With Purify, you can be unstoppable.If you would like more offense options, Inspire is fine. Oreven Retribution to farm quickly early on. That is the main reason i read the whole guide. I must say you did a fine job. The most important thing i have learned, that argus wont heal if hit by turret in his ultimate stats.I got rnouen confidence that i wanna try him again.